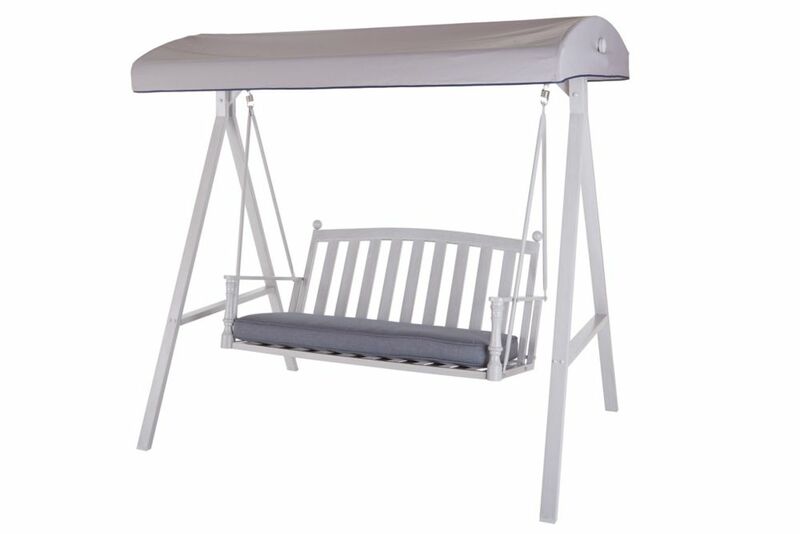 This Traditional Swing with Canopy is an inviting piece of furniture that's durably built and offers a charming antique white finish able to withstand many seasons. The swing is a comfortable, stylish place to sit and relax in after a busy day. Traditional Swing with Canopy This Traditional Swing with Canopy is an inviting piece of furniture that's durably built and offers a charming antique white finish able to withstand many seasons. The swing is a comfortable, stylish place to sit and relax in after a busy day. Traditional Swing with Canopy is rated 3.0 out of 5 by 2. Rated 3 out of 5 by bengie from I purchased this lawn swing on the weekend and love it the only compliant I have is the fact it only comes with 1 cushion this makes it uncomfortable as the back is slanted to far back .